I have uploaded my November ’17 set of Plasma 5 packages for Slackware 14.2 and -current. KDE 5_17.11 contains: KDE Frameworks 5.40.0, Plasma 5.11.3 and Applications 17.08.3. All based on Qt 5.9.2 for Slackware-current and Qt 5.7.1 for Slackware 14.2. For Slackware -current there’s again a choice of ‘latest‘ and ‘testing‘ where the ‘testing’ repository contains 17 recompiled packages that provide a Wayland compositor stack. This means you have a working Plasma5 Wayland session if you use ‘testing‘ as opposed to ‘latest‘. The ‘testing‘ repository is for… testing. Do not use those packages on a production environment unless you are familiar with Slackware, debugging graphical sessions and know your way around slackpkg/slackpkg+. I am really looking forward to getting Plasma5 into Slackware proper. It will allow me to cut loose from the monthly time-consuming update cycles and concentrate on creating an add-on repository for Slackware’s Plasma5 – containing speech synthesis, Wayland of course, and all the esoteric stuff I added to Plasma5 over time which will be scrapped by Patrick (I am thinking of Digikam for instance). Nothing world-shaking this month. All KDE sofware updates are meant to improve stability and usability. 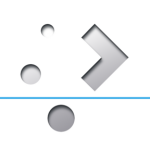 I did add two packages to ‘kde/applications-extra‘ however: both kaudiocreator and kwebkitpart have KF5 ports that are about ready for production, so I thought it would be good to give them a spin on Slackware. Now there are only two packages left from Slackware’s old KDE4 that you may want to install: Amarok (for which a KF5 port is also in the works) and KPlayer (which seems dead in the water, but instead you can try QMLPlayer from the ‘qtav‘ package in my ‘ktown‘ repository). I also updated PyQt5 in the ‘deps ‘ directory and it has picked up Python3 support (in the slackware-current package at least). As always, the accompanying README file contains full installation & upgrade instructions. I have some further reading material in case you are interested in the Wayland functionality of the ‘testing’ repository: README.testing. Package download locations are listed below (you will find the sources in ./source/latest/ and packages in /current/latest/ , /14.2/latest/ and /current/testing/ subdirectories). Only “bear” has the packages for now, the mirrors should follow within 24 hours. If you are interested in the development of KDE 5 for Slackware, you can peek at my git repository too. A new Plasma5 Live ISO image will be uploaded to http://bear.alienbase.nl/mirrors/slackware-live/latest/ later this week, in case you want to try the new Plasma5 desktop out first in a non-destructive way. Posted: 20 November, 2017 in Slackware, Software. Thanks Eric! Plasma 5 & multilib updates are running great. Another seamless upgrade. Thanks a lot. Gérard, a recompiled kjots package has already been uploaded to my repository. Also see https://wiki.archlinux.org/index.php/KDE#Graphical_related_problems for ideas. Thanks for this, it’s working great. Thanks for rebuilding Kjots so quickly in response to Gerard’s comment! I use this program a lot for so many things, and I am glad that it’s working again, from within Kontact and standalone. Thanks a lot! And BTW: This was the only issue I ran into so far with your Plasma5 November updates. Great job! Thanks for new KDE build! Thanks for the update. I’m upgrading my system last night, and this is my report about KDE5 Wayland. I’m still confuse with kwallet5 and wayland. I had to kill it and start it again with env flags QT_QPA_PLATFORM=xcb /usr/bin/kwalletd5 (/usr/bin/kwalletmanager5) before I can unlock my keys. So, I think kwallet5 does not support wayland, is it correct? Other than that, is the systemsettings. It still makes plasma restarts when I’m opening it. Yes on wayland version ‘system settings’ crash frequently plasma, but others soft make crashed plasma when exit. LOEdiver I had run into the same thing, after uploading the new ffmpeg to the repository. It was past 2 AM when I did that… too sleepy to notice I guess. This needs to solved by statically linking libx265 but I ran into a linker error so I am still investigating. Brian it seems I left the old KDE Telepathy packages in place. I will remove them from the repository. About kjots, that will go on the TODO. Don’t hold your breath. Thank you Eric! So far it works OK.
this new release work great on xorg and plasma5, for the moment. Again, many thanks for all your hard work! Marcelo was running 14.2, but both my -current machines have suffered the same bug following the latest update. The “workaround” you suggested in that thread works fine. About sni-qt, I don’t know of any Qt4 based applications left over, which want to create a systray notifier. So indeed once Pat includes Plasma5 into Slackware, he won’t have to include sni-qt. Just a question, Eric do you know when Pat is going to push plasma5 into current ? The answer is of course: when he’s ready. Well, other users should never have access to your runtime session directory, therefore it is safer to give root the group ownership instead. Hi Eric! I have somethingh which might be seen as a bug. In System Settings > Applications > Default Applications > Web Browser > Open http and https URLS: when you select “in the following application”, Firefox is not listed as a browser, despite being installed. I think it should be listed there. Thanks again! Eduardo, indeed. This needs to be solved in the Slackware ‘mozilla-firefox’ package. Hi Eric. After the Wed Dec 6 14:13:48 UTC 2017 update in -current I cannot use Plasma anymore. Among the updates is icu4c and I suspect that is the culprit. rebuild kcalcore with new libical, solve it. You can then remove it later on if all is back to normal.